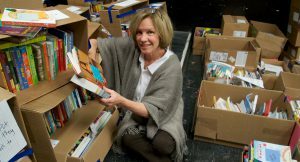 Last week in the first installment of this three-part series we discussed the inspiration behind the Teachers College Reading and Writing Project Classroom Libraries and began exploring the vision that guided the curators, a team made up of TCRWP staff, literacy coaches, renowned librarians, mentor teachers, and children’s literature experts such as Anita Silvey. This week we dive deeper into the fascinating story of the curation process. Although the curation of the grades K-2 and 3-8 libraries shared the same overarching principles, there are some key differences between them. In the following videos, Lucy invites us to hear from Molly Picardi and Mary Ehrenworth about the specific kinds of decisions that went into curating the primary and middle school libraries. Be sure to check back next week when we’ll explore tools for engaging all your readers! To view additional TCRWP Classroom Libraries FAQ videos, click here.